8th Street Winecellar is the brainchild, dream, and literally the blood, sweat and tears of Michael Lagnese and Jonny Cohen, two well loved veteran bartenders from the legendary Union Square Café. Don’t let the name fool you though. 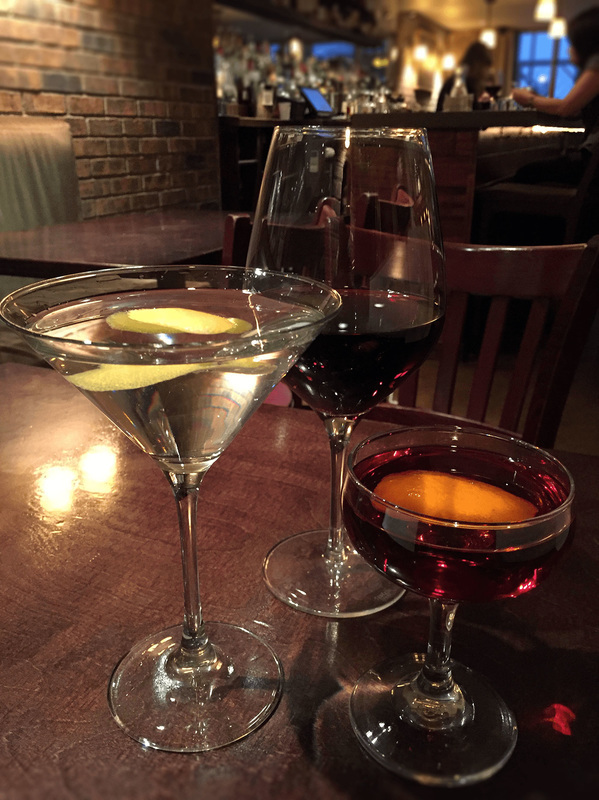 While they certainly love their wine, they also love their martinis, negronis and manhattans, and you can have one, or two, from their full bar stocked with a wide variety of liquors including specialty bourbons, scotches and ryes. They also love a good artisan bottled beer. A few steps down from a street that once boasted only smoke shops and shoe stores, provides a naturally private hideaway for the warm and intimate atmosphere that lends itself perfectly for a comfortable and cozy spot to enjoy some wonderful boutique wines and small plates of cheeses, meats, oysters, or even pig’s in blankets from the globally inspired menu. Located just below the now bustling 8th street means you can’t drink yourself under the table. Because you’re already under the floor. Partner, served as Bar Manager and Assistant Beverage Manager at one of New York City’s top restaurants. He had the pleasure of working along side one of the country’s most elite restaurateurs- Danny Meyer. Union Square Café, always among people’s favorites, was the experience of a lifetime for him as he was able to hone his already fine hospitality skills and learn a business model for success in the ever changing restaurant industry. Partner. Originally from the Boston area, has a full history in the restaurant and bar industry, including the 3 stars Union Square Café, Arizona 206 and TOWN restaurants. He has held positions in every aspect of the hospitality profession. Each stop has lent to his extensive food, wine and service expertise, as well as his fun easy going approach. He is also an accomplished New Yorker cartoonist. Executive Consulting Chef, hails from Queens, New York. A graduate of Johnson and Wales Culinary University in Providence, RI, he went on to the Mercury Grill in Washington, DC, where he was the Executive Chef. He learned fine dining service and his wine knowledge from some of the finest San Francisco restaurants, including Mecca. Chef Carlo is also a highly sought after personal chef. Check out our cozy sister wine bar Bibi in the East Village!